The Legal Aid Society of Columbus, Marion Branch office is excited to announce that Demitri P. Johnson joined the Marion office on March 31, 2017. Johnson is a 2014 graduate of the Capital University Law School where she obtained a Juris Doctorate. 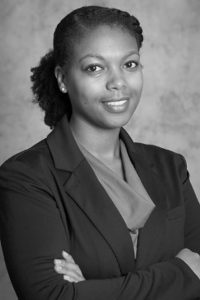 During law school, Johnson was a recipient of the Ronald L. Friedman Memorial Award, a member of the 2013 Spring National Moot Court Team, and a member of the 2014 Criminal Law Moot Court Team. Prior to law school, she earned a B.A. in Political Science from Denison University. While Johnson is originally from the Columbus area, she is looking forward to learning more about the area and becoming a member of the community. Johnson said she is excited to work together with The Legal Aid Society of Columbus, Marion Branch office and other local advocates to aid the residents of Marion County. The Marion office of The Legal Aid Society of Columbus provides free legal advice and representation to low-income and elderly residents of Marion, Morrow, Delaware, and Union counties. Services can be requested by calling the office at 740-383-2161 or online at www.columbuslegalaid.org.